1. Set of 2 Old World or Floral Lace Mugs – These wonderful, generously sized mugs make for really great gifts. They’re easy to take along, and you can personalize them by adding your homemade candy cane hot cocoa and a pretty bow. Candy canes or chocolate spoons also make for great stirrers! 3. Round Stoneware Bread Basket – Bake and bring your favorite holiday treats to the party, and leave behind this beautiful stoneware bread basket. Or, pile in fresh fruit and give this beautiful basket as a colorful centerpiece. 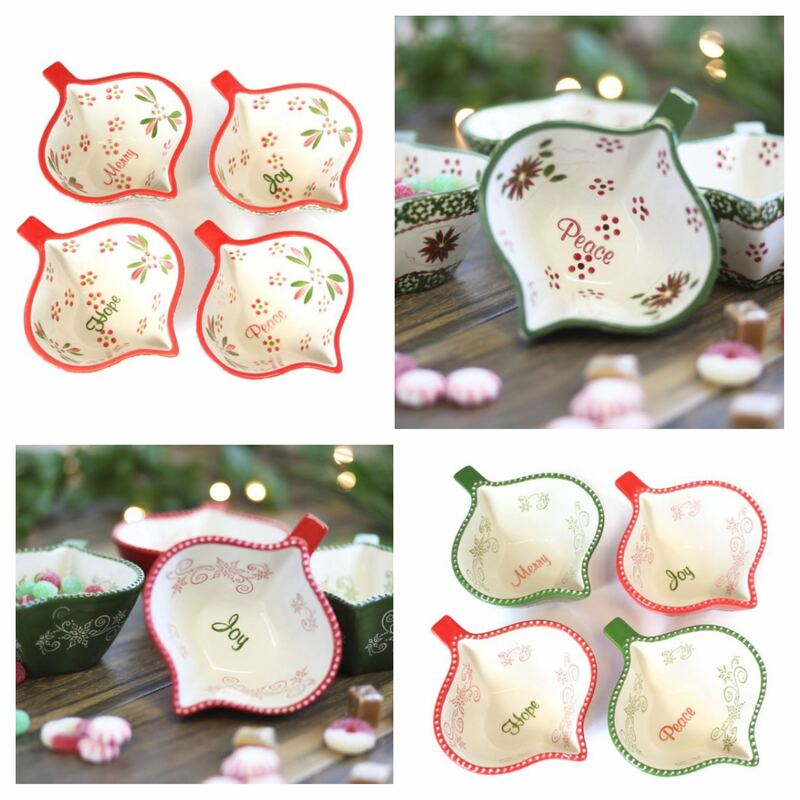 These charming little ornament-shaped ramekins make the perfect packable gift. Fill with holiday themed candy, a small tea light, homemade snack mix or tea. 5. Set of Two Loaf Pans in Carved Old World. Break bread with your hosts! Bake and take my fabulous Zucchini Quick Bread or Chocolate Chip Banana Quick Bread in these pans and add a sweet bow. Or make and take one, and keep one for yourself! 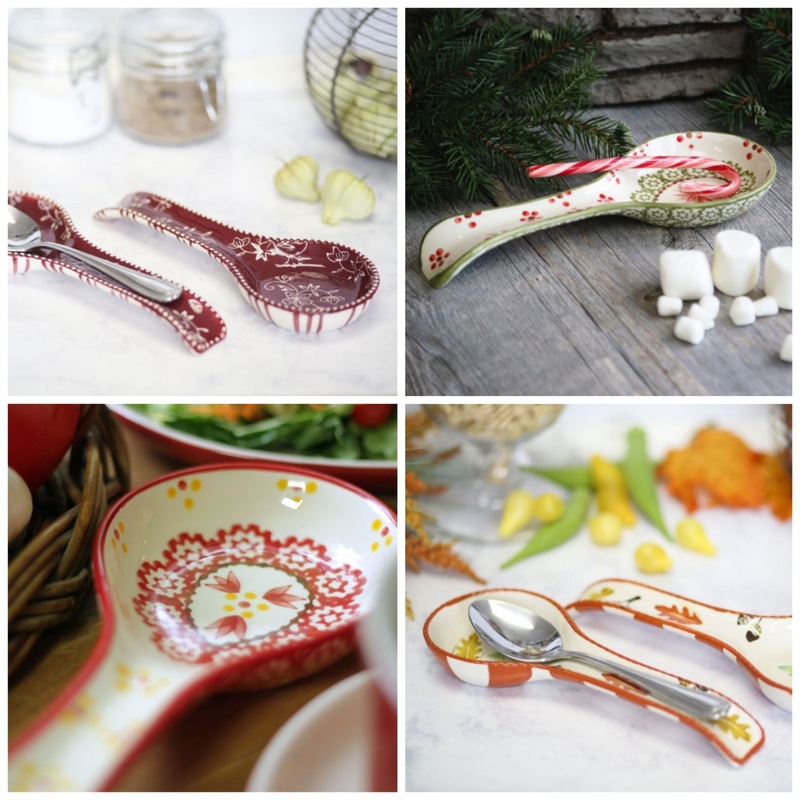 Check out other great gift items under $25, and bring on the holiday parties, get-togethers and cheer! 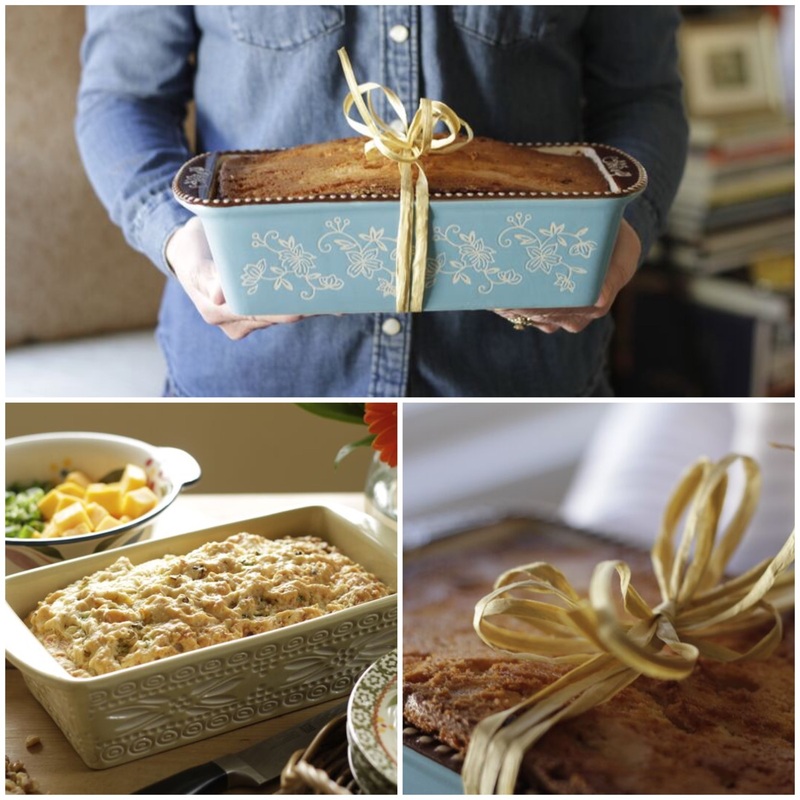 What will you give your favorite host or hostess this year?